The Universal Input Safety Relay is built for monitoring a range of safety and non-safety input devices including safety laser scanners, emergency stop devices, and photoelectric monitoring sensors. 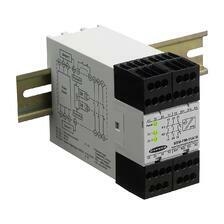 The safety inputs are designed to monitor +24V DC solid-state outputs. Different types of normally-open output contacts are available for power interruption circuits depending on the model. Resets can be configured as automatic or manual depending on how the relay is connected. The design is compliant with ISO 13849-1, IEC 61508, and ANSI B11.19 while having a Level 3 Safety Integrity. 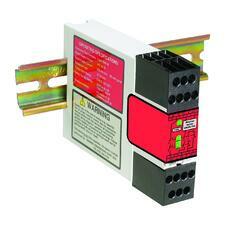 Each Monitoring Safety Relay module is capable of monitoring up to ten external devices for faults in contact. If a fault is detected, the lockout mode is initiated. The voltage range available includes 12 volts AC/DC, 24 volts AC/DC, 115 volts AC, and 230 volts AC. The module can also monitor interlock switches and positive opening E-stop, and different models have 2 to 4 normally-open safety outputs. Monitoring and control via a DeviceNET network are also supported. 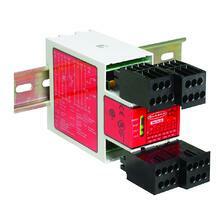 The relays have NEMA 1 and IEC IP20 safety rating. Interface Safety Relays from Banner can increase the switching current capacity of low voltage safety devices to six amps. 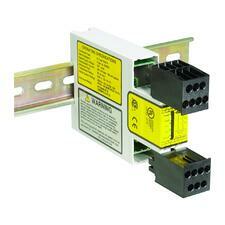 This makes it a relay for safety devices with hard contact outputs and external monitoring. The supply voltage is rated at 24 volts DC, while 2–3 normally open contacts are available depending on the model selected. Terminal blocks are included within the package, while two green LEDs act as indicators for the internal relays. 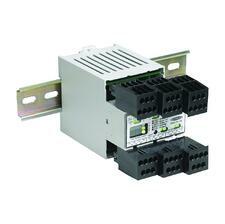 The relays have a response time of 20 ms and are rated at IEC IP20. The Duo-Touch SG Series Relay is designed for monitoring a pair of STB self-checking touch buttons. It has a diverse-redundant microcontroller circuit and mechanically linked output contacts. Both touch buttons have to be activated within a half second of each other for operation. 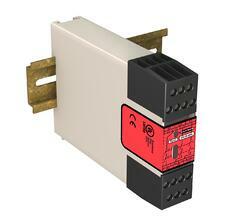 The relays are rated for 24V AC/DC at 6 amps and come with removable terminal blocks. Similar to the other relays, they are rated at IEC IP20 NEMA 1 and meet several safety standards including ISO 13489-1. Often it is necessary to suspend safeguarding operations during hazard-free machine cycles to allow the processes to proceed without any interruptions. 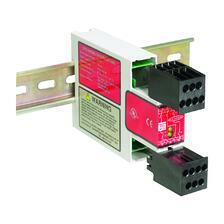 Muting Safety Relays serve this purpose, monitoring 2–4 hard-relay contact or output safety devices. Variants available can fulfill requirements posed by both Type-2 and Type-4 applications. The relays are rated at 24 volts DC and have 2 SSD or normally open safety outputs, with one non-safety auxiliary output. Special models can be ordered if DIN-rail mounting or IP65-rated housing is required. The Safe Speed Monitoring Relay is designed to control abnormal rotary or linear movement. Each relay is connected to two sensors with PNP outputs through which signals are monitored and acted upon in real-time. The operation is rated at 24 volts AC/DC with two redundant, force guided output contacts that operate at 4 amps. Several models are available to fulfill specialized needs within the industry such as DIN-rail mountable, Stop Category 0, SIL 3, and ISO 13849-1. The Pressure Sensitive safety relays are used for monitoring either a single or a series of mats through a standard 4-wire edge triggered mechanism. Different ratings including 115 volts AC, 230 volts AC, and 24 volts DC are available for different models. The four normally-open output contacts available rated at 6 amps along with one normally-closed and two solid-state auxiliary outputs. The relay’s response time is 50ms, allowing it to engage quickly to alert the surrounding area. The relay meets all US and international standards.